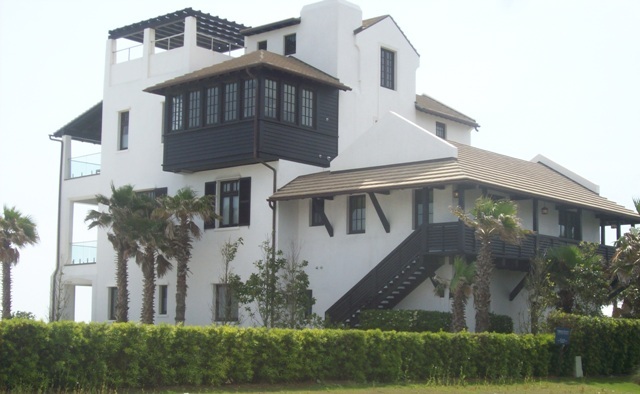 Waterfront house plans are a great way to design a dream home on your favorite body of water. The environment, although beautiful, can create some unique challenges, however. One of the biggest challenges building next to water is the elevation and slope of your property. Water levels fluctuate throughout the seasons. Various factors such as heavy summer rains and fall snow melt can make even a quiet stream become a raging torrent in no time. Planning for these types of fluctuations is something that needs to be done early in the process. One way to get a good idea of a safe location to place your house is to clear as much of the underbrush away as you can. This might sound simple, but if you are able to clear different parts of your property you might find that you will have several potential building sites available to you. Another consideration when planning out your location is the accessibility of utilities. Most utility companies will give you a certain amount of distance from the nearest current utility pole. If you decide to locate your home significantly further from this, then you will have to pay either the utility company or a private contractor to bring the utility to your site. Driveway construction is also a part of your site planning. This goes beyond aesthetics. Your driveway is going to be the lifeline to your new house for every piece of construction equipment needed to complete your home. Such things as loaded cement trucks will need a strong, somewhat level drive to deliver their goods and not get stuck. Down the road, this will also be important for emergency vehicles in the event of an accident or fire. These are a couple of things that you as the homeowner can do at little to no cost. If you can take the time to plan out your site correctly, you will find that you will save a lot of time and resources once you get a contractor on site. Return to the House Plans Catalog from Waterfront House Plans.